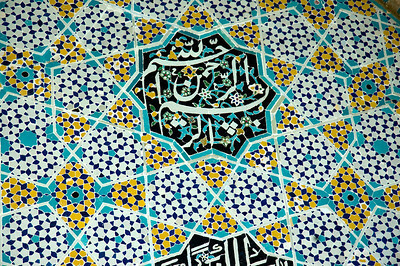 Script above the door is from the Koran, and it means, "Enter therein in peace and security." 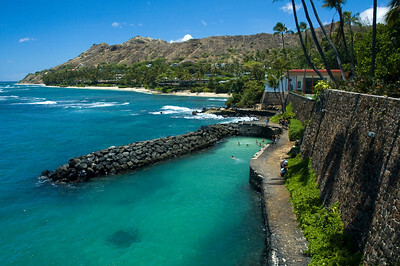 Shangri La is situated on a 4.9-acre oceanfront lot in the exclusive Black Point residential neighborhood near Diamond Head, Hawaii. 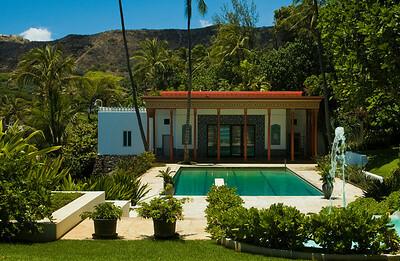 Shangri La is an Islamic-style mansion built by heiress Doris Duke. 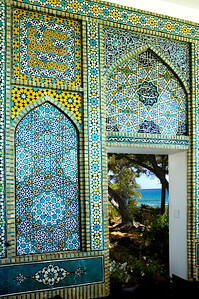 It is now owned by the Doris Duke Foundation for Islamic Art in cooperation with the Honolulu Academy of Arts. 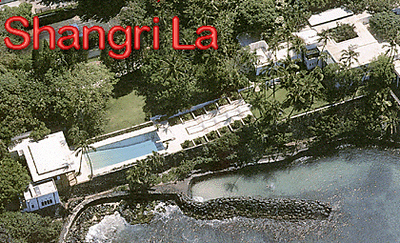 Construction of Shangri La began in 1937, after Doris Duke's 1935 honeymoon which took her through the Islamic world. For nearly 60 years afterwards, Miss Duke commissioned and collected artifacts for the house, forming a collection of about 3,500 objects. It was designed by Marion Sims Wyeth. Shangri La is furnished with art, furnishings and built-in architectural elements from Iran, Morocco, Turkey, Spain, Syria, Egypt and India. 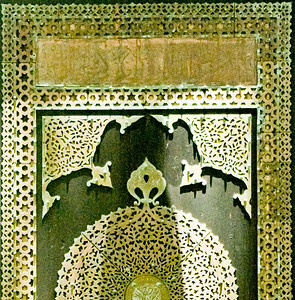 The Playhouse is a reduced-scale version of the 17th century Chehel Setun in Esfahan, Iran. 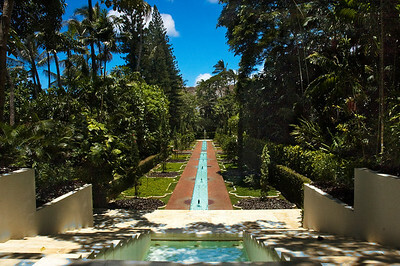 The outdoor landscaping blends the formality of an Indian Mughal garden and terraced water features with the intimacy of a private Hawaiian fishpond, tropical garden, and fabulous vistas of the Pacific Ocean. 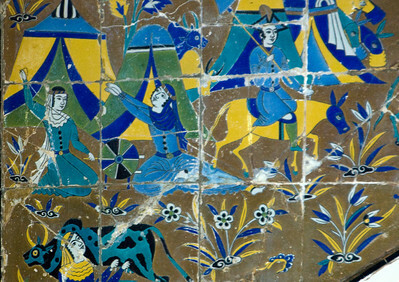 Gilt and painted ceilings from Morocco, vivid ceramics from Iran, intimate interiors from Syria, pierced metalwork and vibrant textiles from Spain to India are among the highlights. Mughal Garden is a water aisle 28 feet wide and 10 times as long, where the only sound you hear is that of water gurgling along a brick waterway bordered by cypress and citrus trees. 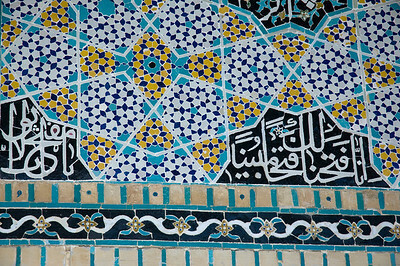 Mosaic above a door. 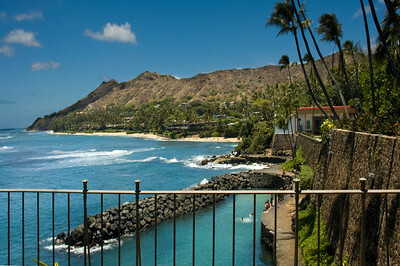 Shangri La is situated on a 4.9-acre oceanfront lot in the exclusive Black Point residential neighborhood near Diamond Head, Hawaii. 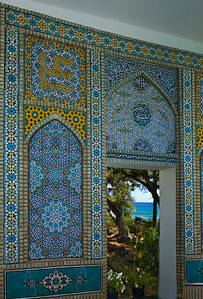 Shangri La is an Islamic-style mansion built by heiress Doris Duke. 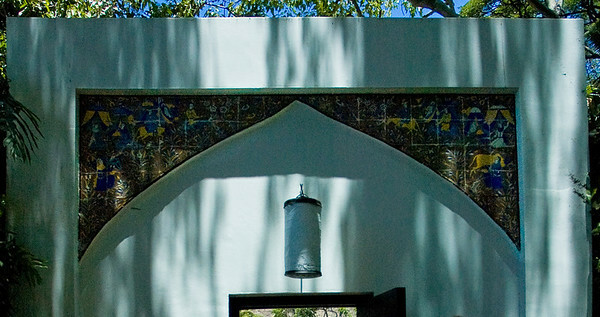 It is now owned by the Doris Duke Foundation for Islamic Art in cooperation with the Honolulu Academy of Arts. 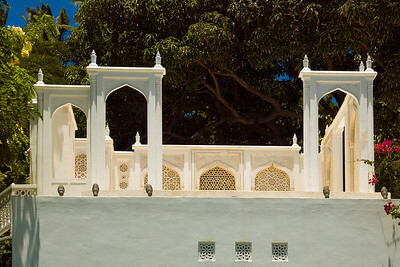 Construction of Shangri La began in 1937, after Doris Duke's 1935 honeymoon which took her through the Islamic world. For nearly 60 years afterwards, Miss Duke commissioned and collected artifacts for the house, forming a collection of about 3,500 objects. It was designed by Marion Sims Wyeth. Shangri La is furnished with art, furnishings and built-in architectural elements from Iran, Morocco, Turkey, Spain, Syria, Egypt and India. The Playhouse is a reduced-scale version of the 17th century Chehel Setun in Esfahan, Iran. 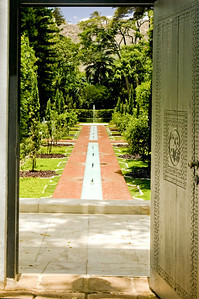 The outdoor landscaping blends the formality of an Indian Mughal garden and terraced water features with the intimacy of a private Hawaiian fishpond, tropical garden, and fabulous vistas of the Pacific Ocean. 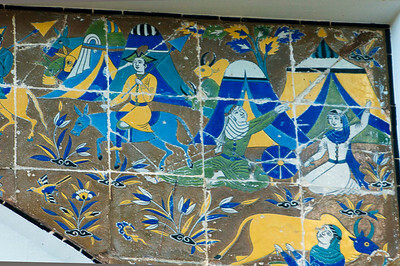 Gilt and painted ceilings from Morocco, vivid ceramics from Iran, intimate interiors from Syria, pierced metalwork and vibrant textiles from Spain to India are among the highlights. 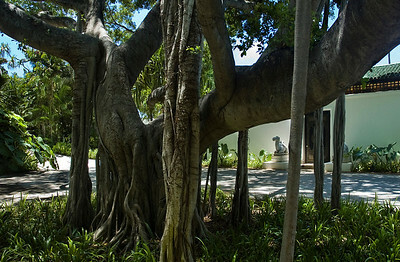 "At the end of a steep, shaded driveway where bougainvillea and philodendrons creep up the trunks of palm trees stands the entrance to Shangri La. 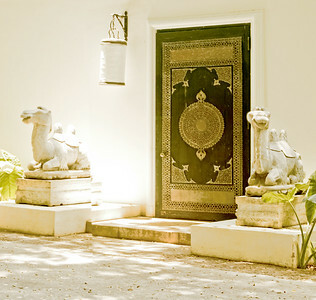 Surprisingly modest, its dark wooden door appears unobtrusively between two Chinese stone camels, close to a large banyan tree. 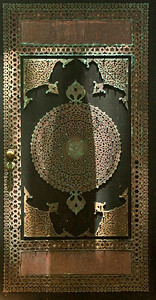 The Arabic script engraved on metalwork on the door, is from the Koran, and it means, "Enter therein in peace and security." 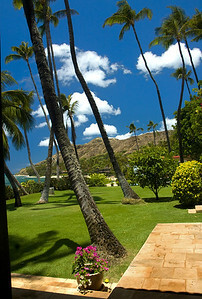 http://www.sfgate.com/cgi-bin/article.cgi?file=/chronicle/archive/2002/11/10/TR117995.DTL Shangri La is situated on a 4.9-acre oceanfront lot in the exclusive Black Point residential neighborhood near Diamond Head, Hawaii. 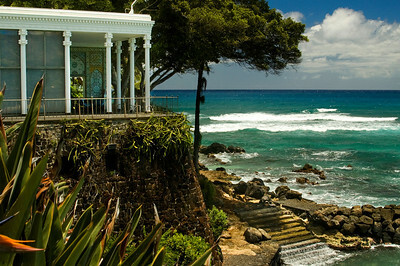 Shangri La is an Islamic-style mansion built by heiress Doris Duke. 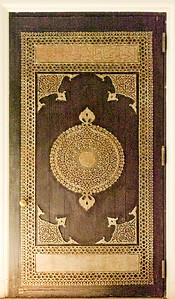 It is now owned by the Doris Duke Foundation for Islamic Art in cooperation with the Honolulu Academy of Arts. 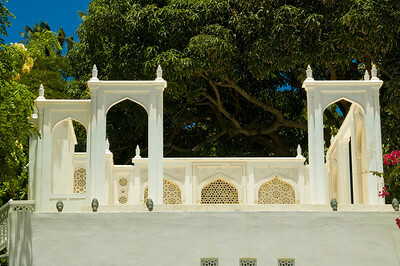 Construction of Shangri La began in 1937, after Doris Duke's 1935 honeymoon which took her through the Islamic world. For nearly 60 years afterwards, Miss Duke commissioned and collected artifacts for the house, forming a collection of about 3,500 objects. It was designed by Marion Sims Wyeth. Shangri La is furnished with art, furnishings and built-in architectural elements from Iran, Morocco, Turkey, Spain, Syria, Egypt and India. The Playhouse is a reduced-scale version of the 17th century Chehel Setun in Esfahan, Iran. 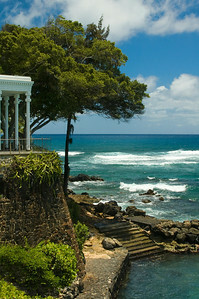 The outdoor landscaping blends the formality of an Indian Mughal garden and terraced water features with the intimacy of a private Hawaiian fishpond, tropical garden, and fabulous vistas of the Pacific Ocean. 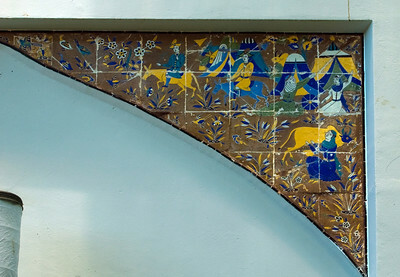 Gilt and painted ceilings from Morocco, vivid ceramics from Iran, intimate interiors from Syria, pierced metalwork and vibrant textiles from Spain to India are among the highlights. 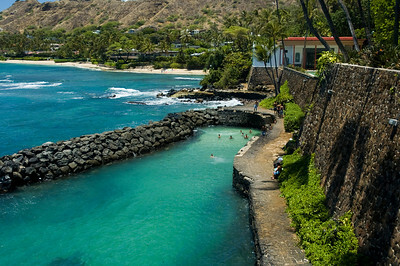 Looking toward Diamond Head, a marble fountain leads to the 75-foot pool and, at the other end, the Playhouse, a scaled-down version of the Chihul Sutun, a 17th century royal pavilion in Esfahan, Iran, with red wooden columns and Iranian tile. 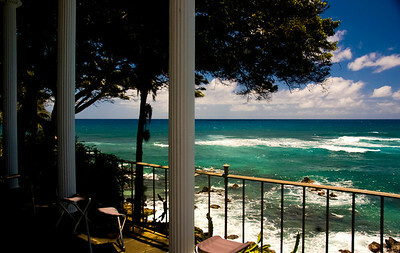 Shangri La is situated on a 4.9-acre oceanfront lot in the exclusive Black Point residential neighborhood. 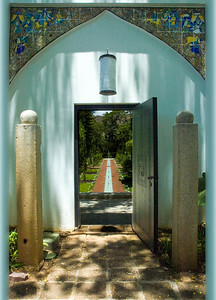 Shangri La is an Islamic-style mansion built by heiress Doris Duke. 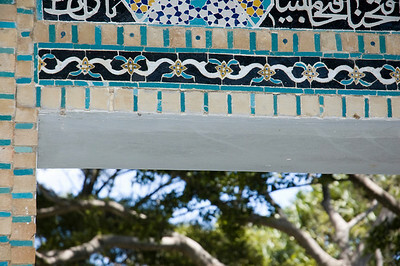 It is now owned by the Doris Duke Foundation for Islamic Art in cooperation with the Honolulu Academy of Arts. 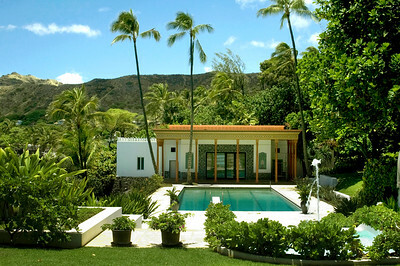 Construction of Shangri La began in 1937, after Doris Duke's 1935 honeymoon which took her through the Islamic world. For nearly 60 years afterwards, Miss Duke commissioned and collected artifacts for the house, forming a collection of about 3,500 objects. It was designed by Marion Sims Wyeth. Shangri La is furnished with art, furnishings and built-in architectural elements from Iran, Morocco, Turkey, Spain, Syria, Egypt and India. 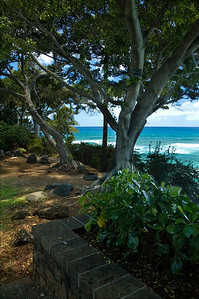 The outdoor landscaping blends the formality of an Indian Mughal garden and terraced water features with the intimacy of a private Hawaiian fishpond, tropical garden, and fabulous vistas of the Pacific Ocean. 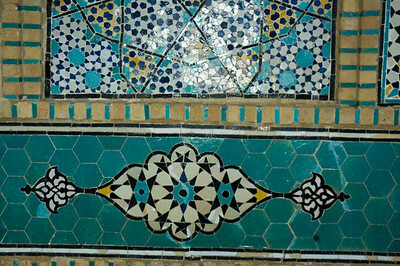 Gilt and painted ceilings from Morocco, vivid ceramics from Iran, intimate interiors from Syria, pierced metalwork and vibrant textiles from Spain to India are among the highlights. 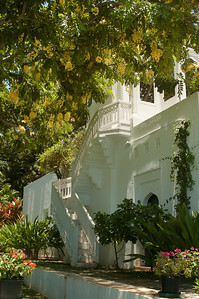 A 75-foot swimming pool, water terraces, white marble steps, palm trees and a tropical garden connect the main house and the Playhouse. 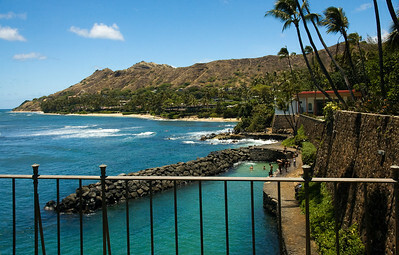 Shangri La is situated on a 4.9-acre oceanfront lot in the exclusive Black Point residential neighborhood near Diamond Head, Hawaii. 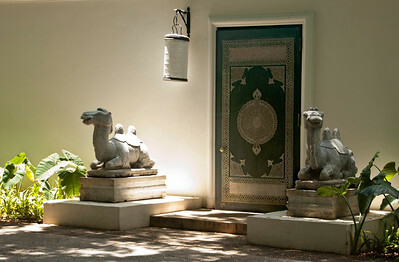 Shagri La is an Islamic-style mansion built by heiress Doris Duke. 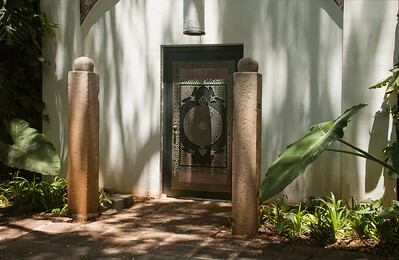 It is now owned by the Doris Duke Foundation for Islamic Art in cooperation with the Honolulu Academy of Arts, and open to the public for tours; an admission fee is charged. 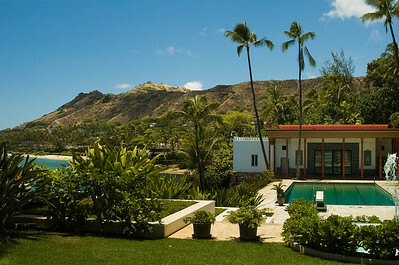 Construction of Shangri La began in 1937, after Doris Duke's 1935 honeymoon which took her through the Islamic world. For nearly 60 years afterwards, Miss Duke commissioned and collected artifacts for the house, forming a collection of about 3,500 objects. It was designed by Marion Sims Wyeth. Shangri La is furnished with art, furnishings and built-in architectural elements from Iran, Morocco, Turkey, Spain, Syria, Egypt and India. 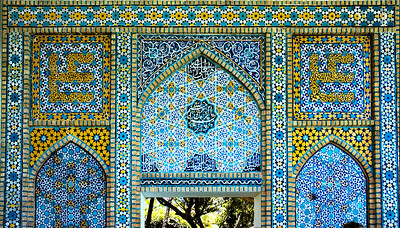 The Playhouse is a reduced-scale version of the 17th century Chehel Setun in Esfahan, Iran. 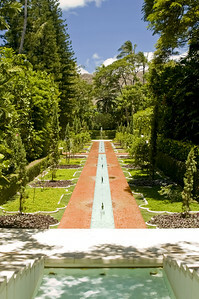 The outdoor landscaping blends the formality of an Indian Mughal garden and terraced water features with the intimacy of a private Hawaiian fishpond, tropical garden, and fabulous vistas of the Pacific Ocean. 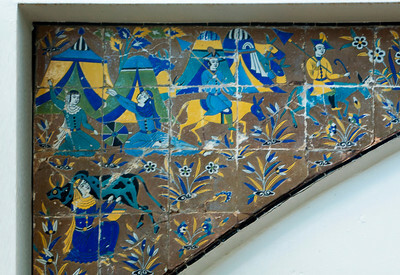 Gilt and painted ceilings from Morocco, vivid ceramics from Iran, intimate interiors from Syria, pierced metalwork and vibrant textiles from Spain to India are among the highlights. 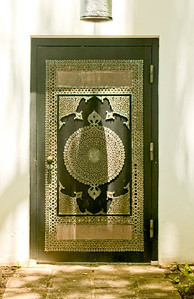 The Egyptian door opens to a Mughal garden. 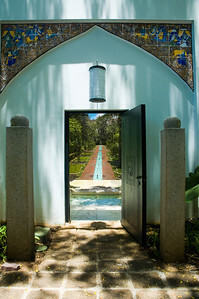 There are geometric patterns within the long red brick pathways, the garden planters, and even in the waterfall that ripples down the marble steps. 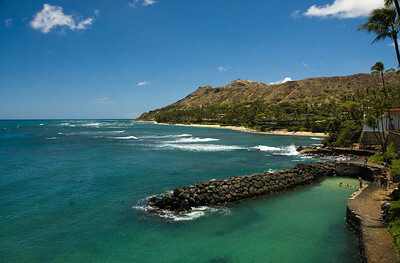 Ka'alawai Beach, a perfect cove with views of the lesser-viewed east side of Diamond Head. 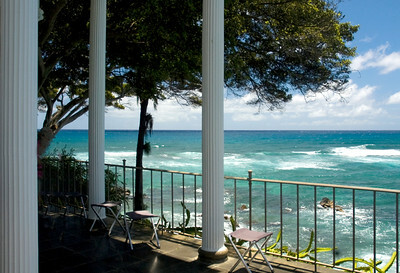 Doris Duke had two ocean walls built to create a spot to park her (first) husband's yacht. 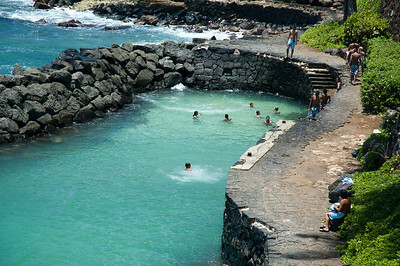 Today, locals swim here. 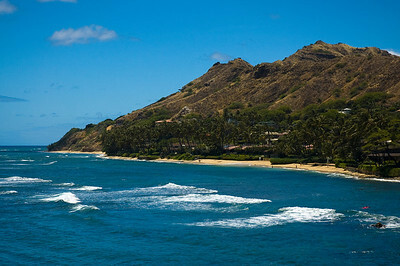 Beyond is little Ka'alawai Beach, a perfect cove with views of the lesser-viewed east side of Diamond Head.